You know I look at my crafts over the last few months and I think I better get started on getting some actual cards completed. So in this case, this bag will house the cards. 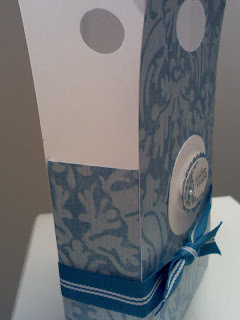 It should hold between 8-12 cards with envelopes, depending on the thickness of the cards. 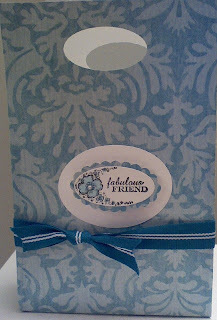 First project with the new Oval Punches and Oval stamps from Stampin Up! I think I may have fallen in love with them. I have some paper that I have to use (can you hear the twisting of the arm?). I wanted simple elegancy.. maybe not exactly, but I like it. 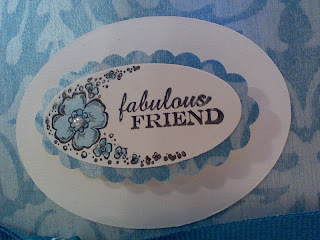 Stamps: Oval All, Stampin Up!